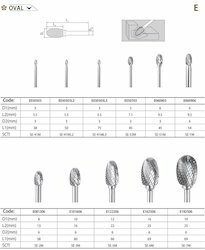 To furnish the diverse requirements of our clients in the best possible manner we are involved in offering an extensive range of Solid Carbide Cutter. Solid Body Cutter from 1.1" to 6" Cutter Diameter. Imported Solid Carbide Cutters For machining of Material HRC 40 / 50 /60 Available. High productivity, as well as excellent value for, Multi-application one tool for milling in many applications, Stable design for contouring (semi-finishing). Our comprehensive product range includes SolidCarbideEnd MillCutters for general purpose that is highly appreciated for their cutting edge features. The products in this range is credited with such facilities as durability, lasting service life, resistance to corrosion and cost effectiveness. 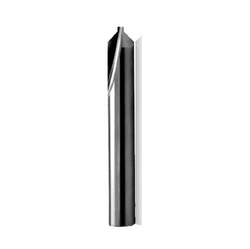 Our range in this category comprises ball nose and end mill cutter. We provide wide range of Ballnose cutter to so many Industry. We are specialist in ballnose for machining die and mould industry. Out tools perform in upto 62 Hrc hardened material. Our clients can avail from us a wide range of Solid Carbide Milling Tools which is made by using modern technology and high quality raw material. These Solid Carbide Milling Tools are widely appreciated by our clients. We offer these Solid Carbide Milling Tools at most affordable prices to our precious customers. VK07 For sawing, sitting and milling of cast iron, malleable cast iron, brass, aluminum with silicon, graphite, plastics glass and carbon - fiber.